Winner of the 2016 IAN Award for Outstanding Memoir and Runner Up of Book of the Year It's a story about loss, love, compassion, and finally redemption.At times, life can feel like a challenging feat of survival. Whether it's living through abusive relationships or figuring out the complexities of what it means to be a woman searching for love. 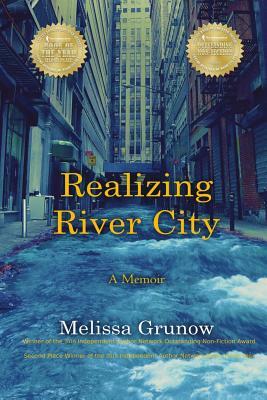 Realizing River City is a memoir that proves how despite the troubles we may face, there is hope in the way we continually risk ourselves in search for the life we want to live.In her poetic exploration of past relationships, Melissa Grunow's honest words do not falter in the face of so much loss. Taking the rage we all feel about grief and pain, and funneling it into truth, beauty, and ultimately redemption on each page, Realizing River City is about discovering how the most important relationship is the one we have with ourselves.It.